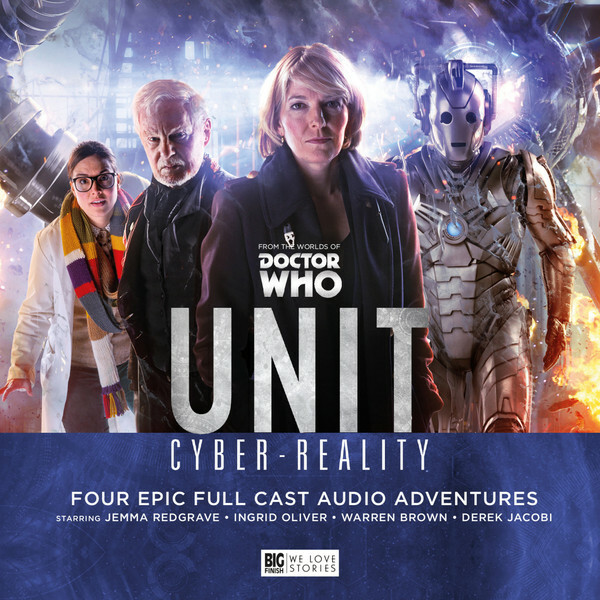 Kate Stewart (Jemma Redgrave), and Osgood (Ingird Oliver) lead the UNIT team into battle against the Cybermen (Nicholas Briggs) when the Master (Derek Jacobi) unexpectedly arrives – but whose side is he on? A secret network of alien tech collectors, a virtual reality programme with sinister origins and an enemy that will cross the divide between universes just to conquer more worlds. It’s UNIT at its gritty best...! UNIT and the Master have history. Having Kate and Osgood meet another incarnation of the nefarious Time Lord should provide some juicy material, especially with the hints that they form an uneasy alliance. Throw in a deadly Cyber army and this 5CD box set could be one of the strongest spin-off offerings of the year.